Watermarking provides a mechanism for copyright protection of digital media by embedding information identifying the owner in the data. The bulk of the research on digital watermarks has focused on media such as images, video, audio, and text. Robust watermarks must be able to survive a variety of "attacks", including resizing, cropping, and filtering. For resilience to such attacks, recent watermarking schemes employ a "spread-spectrum" approach - they transform the document to the frequency domain (e.g. using DCT) and perturb the coefficients of the perceptually most significant basis functions. In this paper we extend this spread-spectrum approach for the robust watermarking of arbitrary triangle meshes. Generalization of the spread spectrum techniques to surfaces presents two major challenges. First, arbitrary surfaces lack a natural parametrization for frequency-based decomposition. 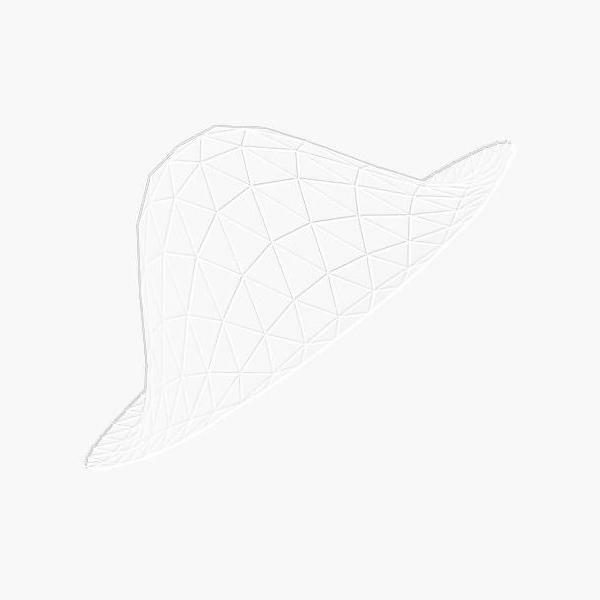 Our solution is to construct a set of scalar basis function over the mesh vertices using a multiresolution analysis of the mesh. The watermark is embedded in the mesh by perturbing vertices along the direction of the surface normal, weighted by the basis functions. The second challenge is that attacks such as simplification may modify the connectivity of the mesh. We use an optimization technique to resample an attacked mesh using the original mesh connectivity. Results demonstrate that our watermarks are resistant to common mesh processing operations such as translation, rotation, scaling, cropping, smoothing, simplification, and resampling, as well as malicious attacks such as the insertion of noise, modification of low-order bits, or even insertion of other watermarks.